Changing your audio. Since ages ago. Audio Switcher is developed by @xenolightning, entirely in my spare time. Continued development is spurred on by the users, if you have any feedback, feel free to contact me. 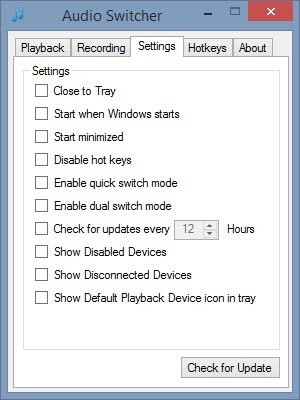 Audio Switcher is available free of charge from the following websites. Ensure that you are always using the safest, and most up to date version by downloading only from these verified sources. Version 2 is currently in active development. Check out the new features below. Themes - Choose your own colours! 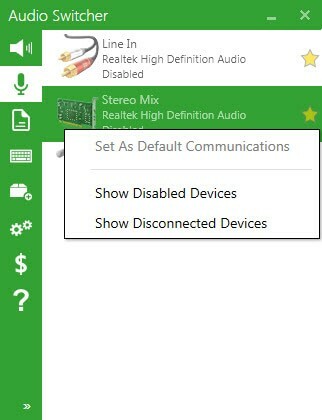 Want to create your own application that controls audio devices? 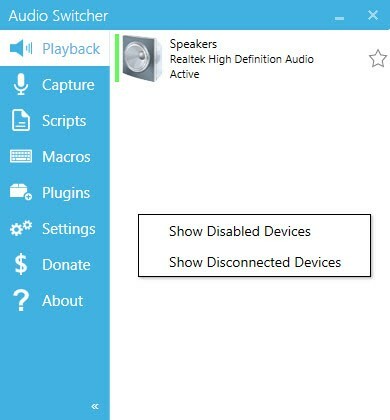 The Audio Switcher Api is available as a package on Nuget. 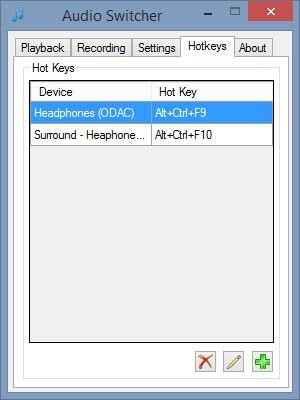 The Api simplifies interacting with Windows® by using an AudioController to perform the low level functions and memory management. 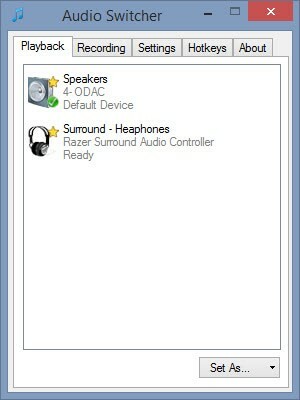 The Api is heavily tested and used by both Audio Switcher v1, and v2.0.